Tutorial assistance is related to extra time and cost, and the hospitals’ financial compensation for this activity is under debate. We therefore aimed at quantifying the extra time and resulting cost required to train one surgical resident in the operating theatre for board certification in Switzerland as an example of a training curriculum involving several surgical subspecialties. Additionally, we intended to quantify the percentage of tutorial assistance. We analysed 200,700 operations carried out between 2008 and 2012. Median duration of procedure categories was calculated according to four different seniority levels. The extra time if the procedure was performed by residents, and resulting cost were analysed. The percentage of procedures carried out by residents as compared to more experienced surgeons was assessed over time. On average, residents performed about a third of all operations including typical teaching procedures like appendectomies. An increase in duration and cost of well-defined procedures categories, e.g. cholecystectomies was demonstrated if a resident performed the procedure. In less well-defined categories, residents seemed to perform less difficult procedures than senior consultants resulting in shorter durations of surgery. The financial impact of tutorial assistance is important, and solutions need to be found to compensate for this activity. The low percentage of procedures performed by trainees may make it difficult to fulfil requirements for board certification within a reasonable period of time. This should be addressed within the training curriculum. Results were presented at the annual meeting of the German Surgical Society (DGCH) in April 2016 in Berlin, Germany. The project was awarded with a prize for the best poster 2016. 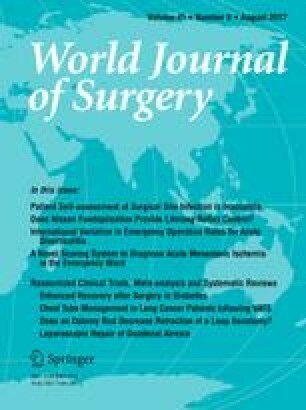 Preliminary results were presented at the annual meeting of the Swiss Society of Surgery in May 2014 in Bern, Switzerland, and published as society abstract supplement (BJS 2014; 101 (S5): 6). Robert Mechera and Salome Dell-Kuster have contributed equally to this work. The authors thank Luzi Rageth and the AQC for providing the data set and Eileen Walliser for proofreading. Rachel Rosenthal is an employee of F. Hoffmann-La Roche Ltd. since 1 May 2014. The present study was conducted before she joined F. Hoffmann-La Roche Ltd. and has no connection to her employment by the company. Rachel Rosenthal continues to be affiliated to the University of Basel. Surgery for perianal abscess, pilonidal sinus, etc.